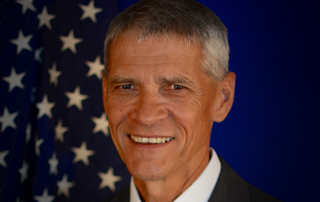 Mr. Kingston joined Qualis in November 2014 as Vice President – Missiles and Space, responsible for directing Qualis’ national security missiles and space line of business. Mr. Kingston has more than 30 years’ experience in senior positions with the Missile Defense Agency (MDA) and the US Army. Prior to joining Qualis Corporation, Mr. Kingston served as MDA Program Director of the Ground-based Midcourse Defense program. Qualis Corporation, founded in 1993, is a Woman-Owned Small Business headquartered in Huntsville, Alabama that employs more than 220 people supporting the U.S. Air Force Test Center, Air Force Operational Test & Evaluation Center, Air Force Safety Center, Air Force Nuclear Weapons Center, and Air Force Global Strike Command; U.S. Army Aviation and Missile Life Cycle Management Command, Maneuver Center of Excellence, Space and Missile Defense Command, and TACOM Life Cycle Management Command; Missile Defense Agency; and NASA Marshall Space Flight Center.